Ruark Audio R1 Mk3 review | What Hi-Fi? 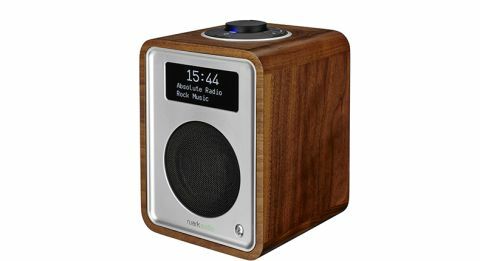 For years, Ruark’s R1 series radio has been one of those products that just works. Its gorgeous design makes it ready to fit into even the most stylish of homes, while its performance and usability has helped to secure it Award after Award. However, 2012 was the last time it appeared in our winners’ list, so when we heard Ruark was releasing an improved third generation of its desirably dinky radio, we were intrigued to find out what was in store. Luckily, there hasn’t been too much change to the design we know and love. It’s still a small, single-speaker design, finished in your choice of walnut, black or white (the last two now in matt instead of gloss), with all the controls you’ll need placed on the top. It’s a premium, no-fuss finish that looks as good as ever, but is helped by the R1’s upgraded OLED display, which looks much cleaner and sharper compared with its LCD predecessor. Out of the box, the R1 Mk3 is a simple affair – plug it into the mains, screw on the aerial and you’re halfway there. The controls are handled by an improved RotoDial system that sits on the top of the unit. While it looks like a regular volume knob, it also acts as the main control system for the radio, allowing you to cycle through menus and press down to select. This is flanked by a few individual buttons, for power and quick access to core functionality, including the R1’s dual alarms, radio presets, settings menu and selecting source. Choose DAB from the source menu and the R1 will automatically set the date and time, or you can do it yourself in the settings if you prefer. We found the menus and controls so easy to use and understand, we didn’t even need to use the manual to get set up. As before, the R1 Mk3 features both FM and DAB tuners (futureproofed for DAB+ if and when it arrives on our shores), but a new addition here is aptX Bluetooth functionality, allowing you to stream music to the R1 from your portable devices. Add to this a line-in for hardwiring a device, a headphone output for private listening and a newly added USB port for charging, and this is quite the complete package for a radio that stands just 17cm tall. You can even make it portable, with the optional rechargeable battery “BackPack” for an extra £50. Of course, this would all be moot if it didn’t sound any good, but luckily the R1 Mk3 sounds as good as ever. There have been several tweaks made to the internal workings of the R1 to help this, including a new chipset with improved DAC and shorter signal paths in the audio circuitry. The result is a sound that belies its size, and a performance that can even top some larger stereo models. With its rich, full-bodied character, it’s sometimes easy to forget there’s just a single 3.5cm driver running it, with bass that is deep and controlled and a midrange that ensures everything from instruments to dialogue to vocals are delivered with detail and clarity. There’s a depth and solidity to its performance that many of its competitors lack, with a clean, open and engaging nature that works just as well with talk radio as it does with music. Despite its confident performance, there are some obvious limitations with its size, and the R1 isn’t going to have the power required to fill huge rooms. What it manages, though, is pretty impressive. It’ll spread wide and go loud enough for most situations, though the treble can border on thinness at volume with lesser quality broadcasts. When scanning for stations, the R1 searches and locks on to them quickly and without issue, while connecting to Bluetooth takes a matter of seconds. The Bluetooth performance is as musical and well balanced as the rest of the radio performance, and it’s a nice touch that the new processor is able to extract Bluetooth track metadata too, so you can see what is playing on the R1’s screen. With new features alongside an improved design, excellent audio performance and faultless usability, the R1 series has never been better. Though £200 is not an inconsiderable amount to spend on a small radio like the Ruark R1 Mk3, spend any amount of time with it and we challenge you not to want to take it home.